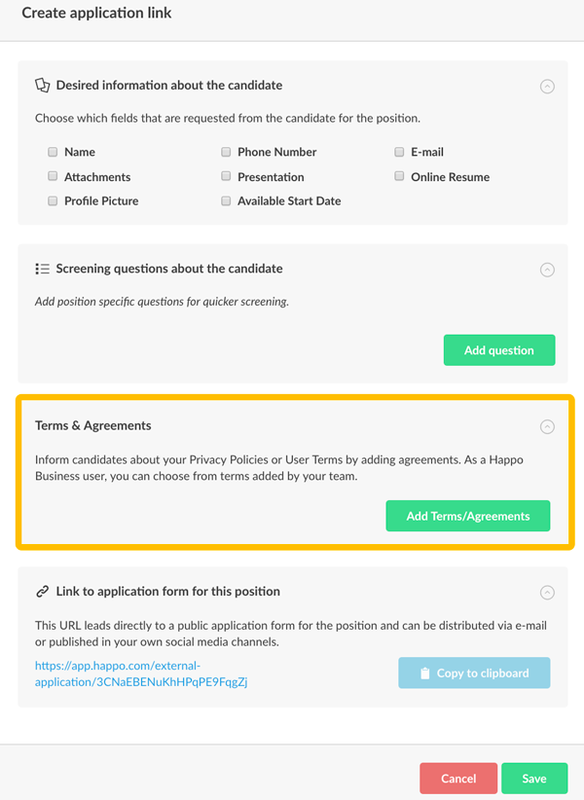 When creating an application link, you can easily attach your own user terms and agreements for candidates to agree to. Terms/Agreements Added by your Team to use your standard agreements suggested for you. 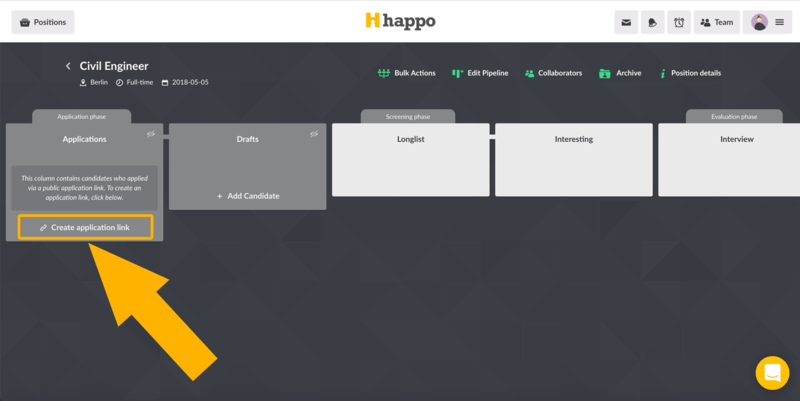 Add New Terms/Agreements to attach new agreements from tome to time. Candidates will have to check a box to agree to your terms when applying for a position.